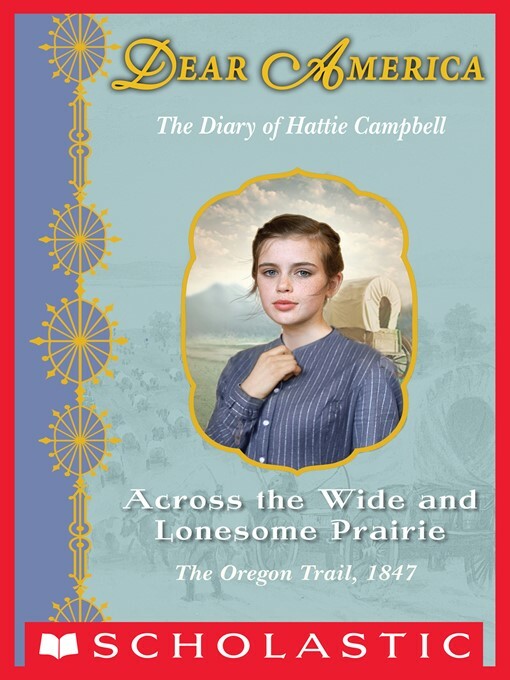 The item Across the wide and lonesome prairie : The Diary of Hattie Campbell: The Oregon Trail, 1847., Kristiana Gregory, (ebook) represents a specific, individual, material embodiment of a distinct intellectual or artistic creation found in Charlotte Mecklenburg Library. Across the wide and lonesome prairie : The Diary of Hattie Campbell: The Oregon Trail, 1847. The Diary of Hattie Campbell: The Oregon Trail, 1847.